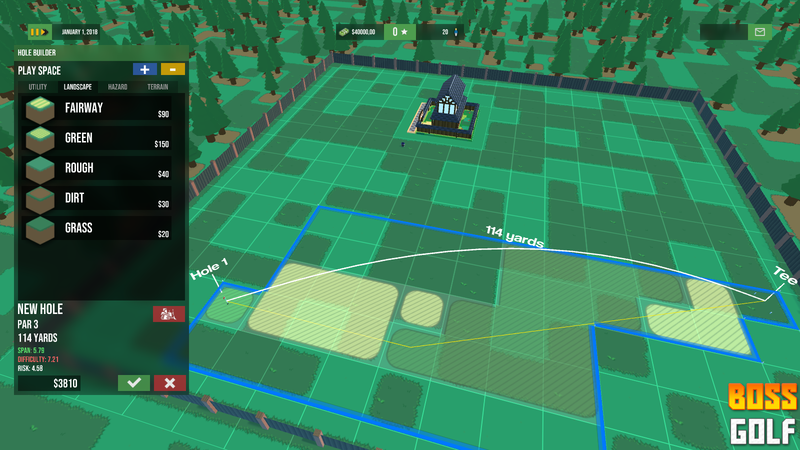 This week’s update for Boss Golf is about expanding the existing game systems, and making them play nice with each other! This is something hard to show in screenshots, though, as the majority of the work was under the hood. But let’s try! 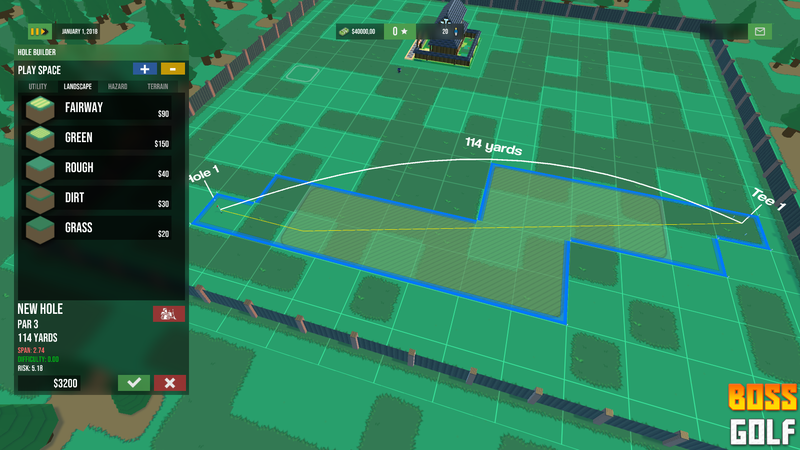 As the main action you’ll be undertaking in the game, I’ve finished integrating the systems for hole building! A wide hole that has high difficulty thanks to the many bad terrain tiles. A narrow hole that has low difficulty because it has mostly good tiles. Not only that, but these ratings are also being taken into account by the AI golfers. I’ve expanded their golfing system to react to these different ratings, preparing them for their potential performance ahead. So if they do well on a hard hole, they’ll feel better than if they do so so on an easy hole. I’ve also updated the panels for the character information, and customized them based on the type of character. There’s also some extra functionality in there for you to check. Workers will now keep track of how many tasks they’ve completed, helping you see how busy they tend to be etc. Buildings now serve a purpose! 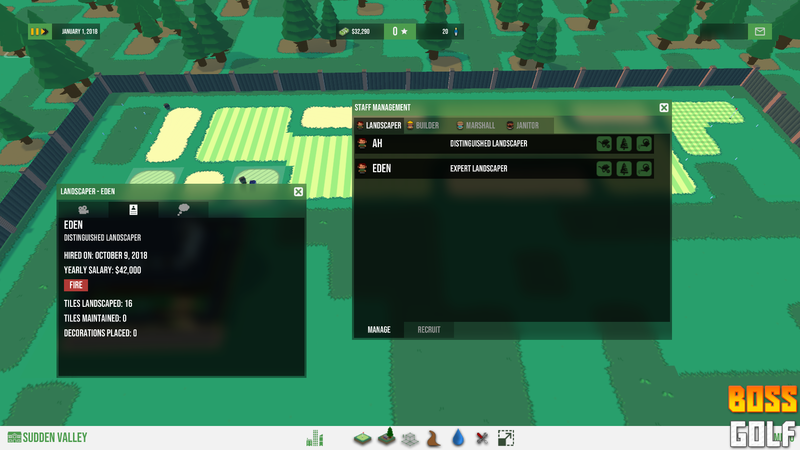 That restaurant you build will provide you with income when AI golfers visit it. Break rooms (or buildings) will now be used for your workers to go to and lounge when they have nothing to do. Still mulling over what other sorts of buildings to add, but the main systems are in place already. 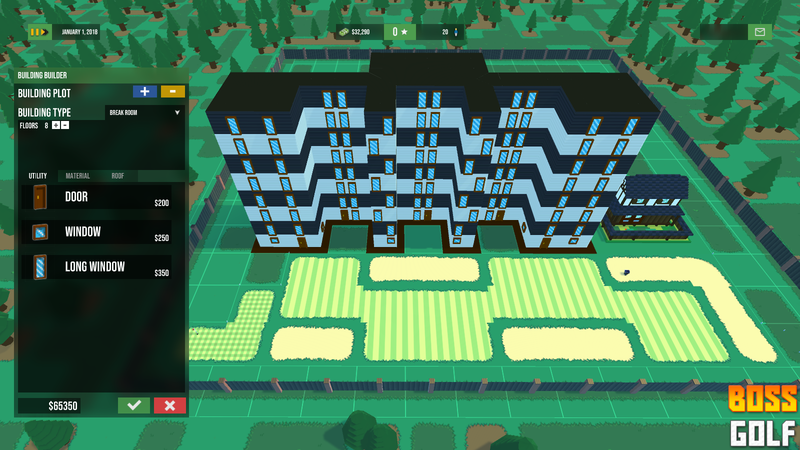 Buildings also come with limitations: your break room (building) can’t be taller than 1 story; the restaurant can go up to 3; hotels can be as tall as you want (and maybe become an eyesore). This monstrosity may soon be heading to your golf course! Maintenance costs have also been added, depending on the size and complexity of the building! Also began improving the paths in the game, to make them more relevant to the navmesh. Biggest implementation has to do with the AI! Besides that, loads of other smaller fixes and little improvements, such as modifying the action of the buttons when you hover over them etc. Little things that make the game feel a lot more polished. That’s it for this week! See you guys next time!